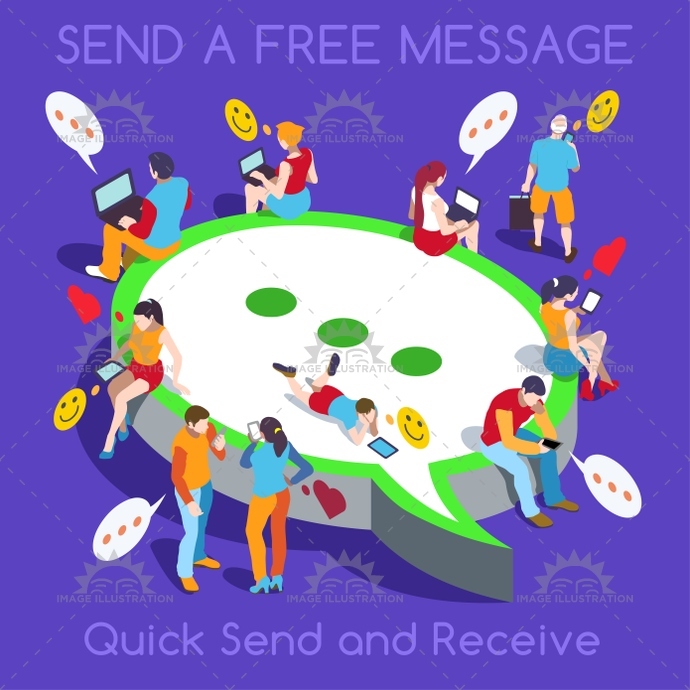 Stock product - detailed vector illustration - Isometric People Collection - Free Chat Set - created by Aurielaki. Image formats EPS AI JPG. SKU: Free-Chat-Set-People-Isometric-AurielAki. Category: Social Media Icons Vector. Tags: 3d, advertising, app, baloon, boy, bright, character, chat, chatting, communication, community, concept, crowd, device, family, flat, free, girl, green, illustration, industry, internet, isometric, kid, man, messaging, micro, natural, new, online, palette, people, personal, poses, realistic, realtime, society, stylish, telecommunications, template, unrecognizable, vector, web, whats, woman, young.